PUBLISHED: COVER “Art Calendar” magazine, September 2002, Volume 16, No. 8. 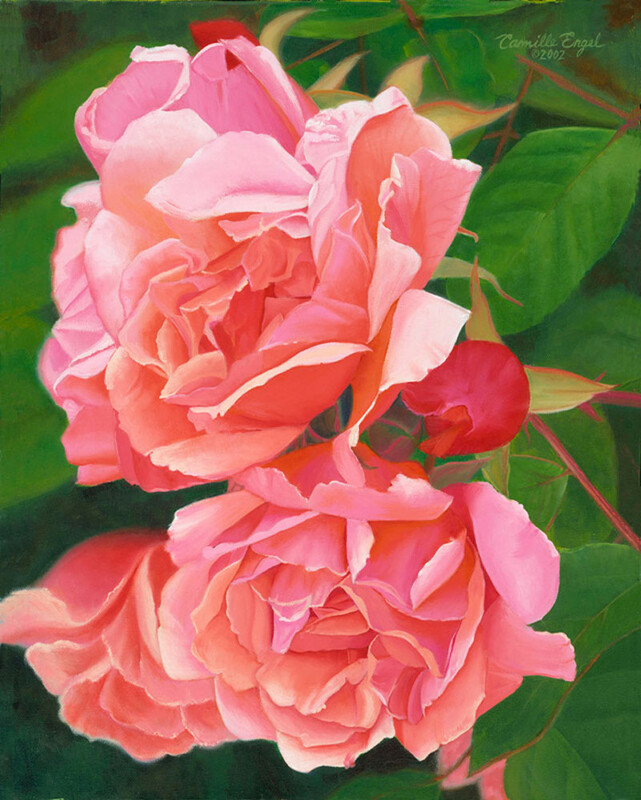 A contemporary realism still life floral painting depicting a close view of pink wild roses or peonies.